Anand Chandrasekher, senior vice president and chief marketing officer at Qualcomm, has said in an interview that Apple’s 64-bit A7 processor in the iPhone 5S is more of a marketing gimmick than a technical enhancement, TechHive reports. “I think they are doing a marketing gimmick. There’s zero benefit a consumer gets from that”, said Chandrasekher. The Qualcomm executive explained that a benefit of 64-bit is more memory addressability, but that is not relevant in today’s smartphones or tablets as even the iPhone 5S has only 1GB of DRAM. “Predominantly… you need it for memory addressability beyond 4GB. That’s it. You don’t really need it for performance, and the kinds of applications that 64-bit get used in mostly are large, server-class applications,” noted Chandrasekher. “From an engineering efficiency standpoint it just makes sense to go do that. Particularly the OS guys will want it at some point in time,” said Chandrasekher, who declined to say when the its 64-bit chip would be introduced. Consumers and tablet and smartphone makers won’t drive the demand for 64-bit chips, Chandrasekher said. Chip makers are upgrading to 64-bit in order to keep up with the latest chip designs and to reduce manufacturing costs. According to Apple, the iPhone 5S is two times faster than its predecessor, and that the A7 brings desktop-style computing to the smartphone. 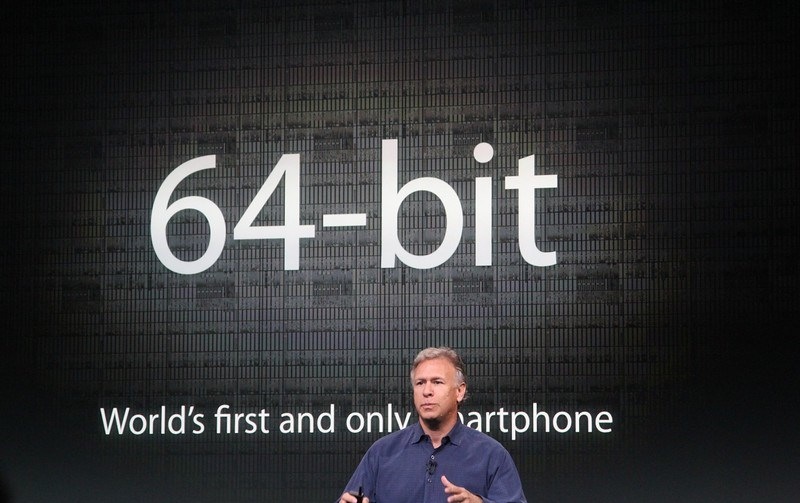 However, benchmarks have not yet revealed any performance gains that can be credited purely to its 64-bit capabilities.